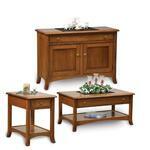 Let the lovely Amish Carlisle Two Doors TV Stand contribute to a contemporary living room furniture collection. The Carlisle brings everything you're looking for to your cozy living room or family room display. 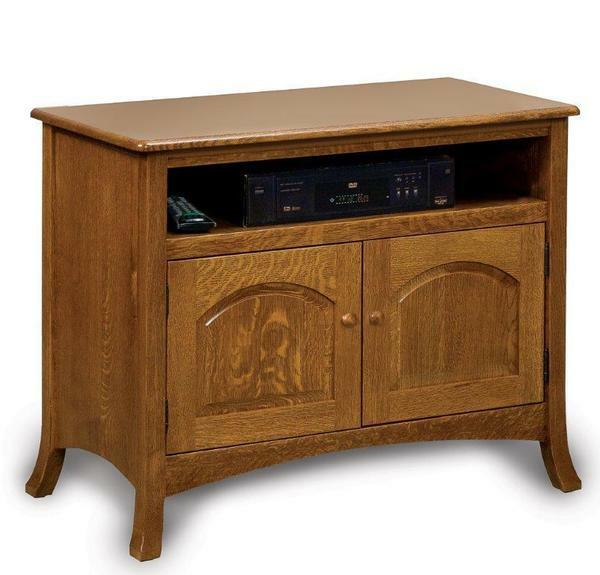 The quality and beauty of an Amish made design is present in every graceful curve and corner of this solid wood TV stand. With a lovely curve to each leg and paneling that accentuates the lovely solid wood, this TV stand will add something special to the spot where family gathers each day. Combining style and storage, the Carlisle takes center stage when it comes to entertainment.